Since 1947, Iris City Cleaners has greatly expanded it's service to include: computerization of garment handling and plant operations, dress making, feather pillow and feather tick cleaning, valet services, in home services, tuxedo rental and sales, wedding gown cleaning and preservation, rug/carpet cleaning, garment dyeing, fire and odor restoration of textile items, custom shirt finishing, custom drapery cleaning and finishing, leather cleaning, fur coat cleaning and refrigeration storage, commercial laundry, shoe repair, alterations and tailoring, garment reconstruction, linen rental, dust control mats, many specialty items/services not found in most dry cleaning shops. Our technology is first rate, our equipment is state-of-the-art, and our understanding and application of the dry cleaning and laundering process is based in extensive training from the Dry Cleaning and Laundry Institute. 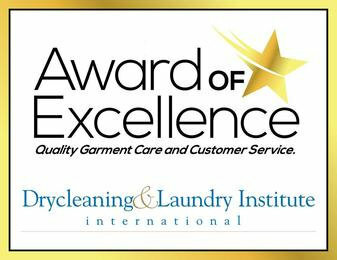 Our Dry Cleaner holds the [CPD] Professional Dry Cleaner Certification [CPW] Certified Professional Wetcleaning Certification, Certified Professional Environmental Certification, and the Certified Garment Care Professional Recognition from DLI. 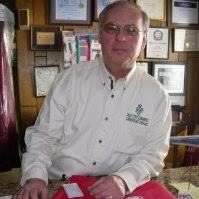 To provide the citizens of our communities the highest quality in dry cleaning, laundry and related services. This embodies a trust relationship between the garment owners and the Iris Cleaners staff. We will continually provide the utmost care in garment handling, consistency in quality cleaning and on time delivery, while striving to exceed our customers expectations. 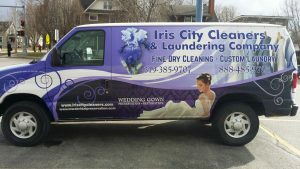 We have included many links throughout this web site to help you fully access the diversified services Iris City Cleaners offers it's customers. By the way, the Iris flower is the City Flower of Mt. Pleasant, Iowa our home. Please enjoy our site. 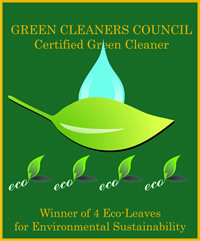 All Cleaners are not created equal, and in these pages, we've spent some time explaining why. We want to hear your views. Please take a moment and let us know how we are doing.